Chennai is a city which is strategically situated, which makes it have a peculiar climate. We have the Hot season followed by the Hotter season and then the Hottest season. So any ice cream parlor or juice joint is always welcome. One such recent entrant is Roll Over at Anna Nagar. They serve up lip-smacking Thailand's famous Ice - Cream Rolls. It is an experience you do not want to miss. We had the Lychee Rush, Mango Madness, and Roll Over's special Chocolate Karma. Lychee Rush had Lychee flavored ice cream rolls with nice chunks of canned lychee pieces served with chef special cream sauce. 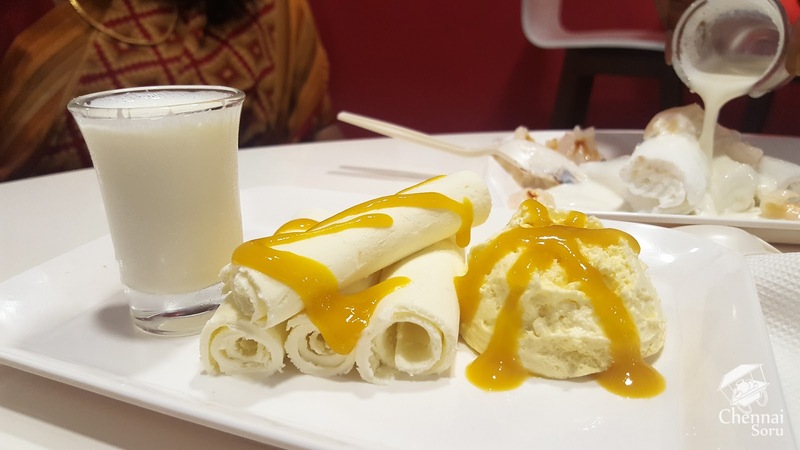 While the Mango madness had Ice cream rolls drizzled with mango syrup and had the same chef special sauce. Both had similar taste. But my pick between the two would be the Lychee Rush just purely for the chunks of fruit which was served in it. Finally the Special Chocolate Karma. It is a dessert, one would not want to miss. It is a treat visually and tastewise. 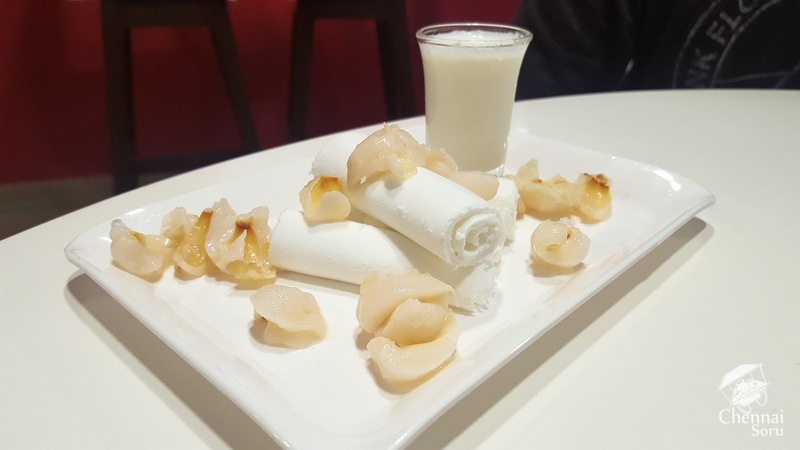 When served it looks like a dessert straight out of the MasterChef kitchen. 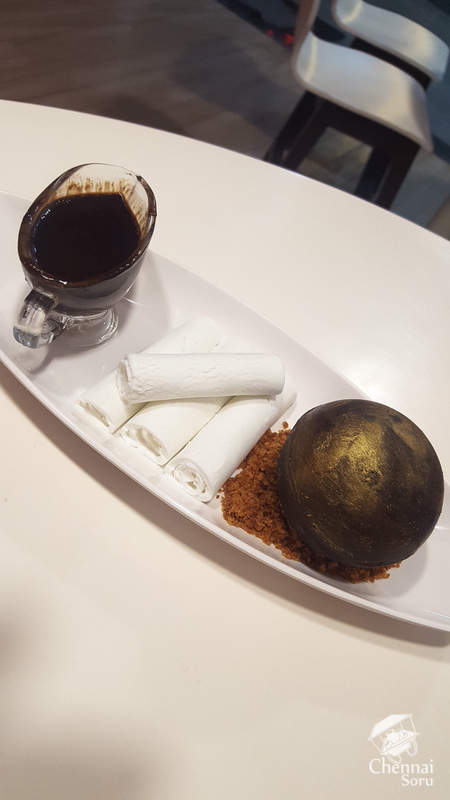 Ice cream rolls plus the Chocolate sphere served on a bed of brown sugar with hot chocolate sauce accompaniment. It is a true chocolate lovers' delight and one which you would relish. Neat decor which lets the dessert do the talking. The three desserts set us back by Rs 600/- which was well worth the experience. Roll Over is located next to Santhosh Super Store in Anna Nagar.